What a great idea! I have a thing for ultra modern buildings surrounding or complimenting older structures rather than just replacing them. 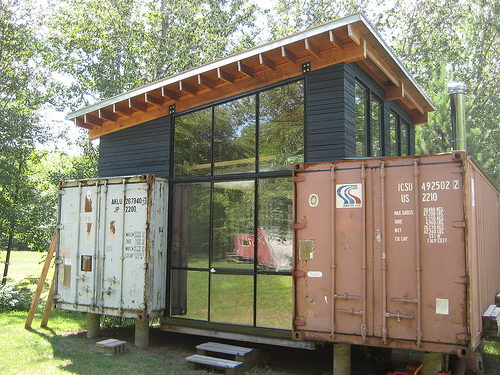 In this case, the older structures aren't a classic building, but unused shipping containers which would take a large amount of energy to break up. Newer post ← Windows VM licencing? Older post → Rubenerd site history for the 4000th post!